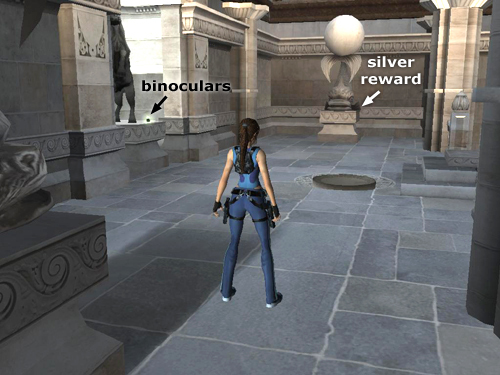 Pick up the BINOCULARS on the horse statue's pedestal. (Not strictly necessary, but why not get everything.) 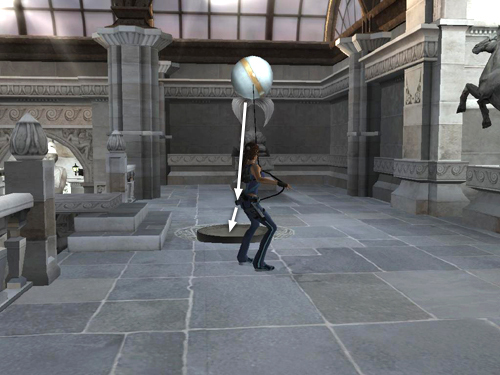 Locate the silver reward (4/10) behind the statue of the fish with the ball on its tail at the far end of the balcony. 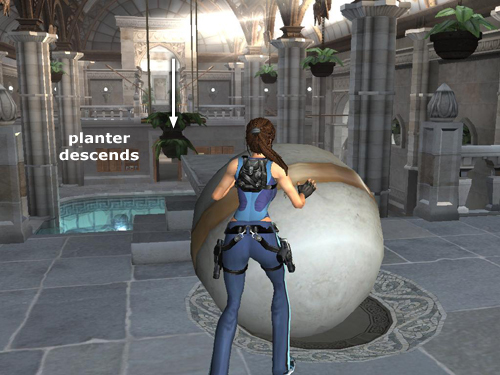 Then use the magnetic grapple to pull down the carved ball from the other fish statue. If the ball doesn't land on the concave pressure pad as it rolls toward you, grab it (Interact) and push it onto the pad. This lowers the large planter hanging above the swimming pool.